The primary responsibility of the governor is to manage the public’s resources wisely. This is a challenge even in the best of times, but in the face of a serious budget shortfall, only the most innovative thinking will lead to a state government that is not only more efficient but more accessible to the citizens. In addition to working directly with the Best Teams, TeamTech also designed a process to gather input from the public. 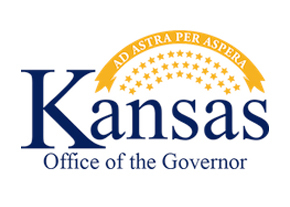 In a matter of eight weeks (mid-November of 2002 to mid-January 2003) these five initial public BEST Teams received over 2000 e-mails, faxes and phone communication from Kansans about ways the state could improve efficiency. Identifying dollar savings through streamlining and removing redundancies: These initial five BEST Teams identified $60 million in potential savings. Governor Sebelius used these savings ideas in her state fiscal year (FY) 2004 Budget presented to the Kansas Legislature. One year later those dollars had been saved. Institutionalizing dollar savings by creating a management culture that encourages collaboration and resources sharing: The work of these initial BEST Teams spurred a more comprehensive internal process. We know that change from the inside out is the only effective way to sustain systemic change. TeamTech continues to facilitate dozens of internal cross-government BEST Teams charged with streamlining and finding savings. Thanks to cross-government purchasing efforts, nearly $27 million in purchased goods and services were realized in FY2005. The County/State Offender Population Prescription Drug Team has realized over $2.4 million in recurring annual savings for both county and state government (both FY05 and FY06). Governor Sebelius and other state agency leaders consider the first phase efforts of BEST a success.